The Particulars: Romantic Suspense, Carina Press, available as e-book. Jillian loves her job–managing pharmaceutical distribution–and she’s suspicious when an unscheduled delivery shows up late on a Friday night. Then someone breaks into her home and, terrified, she asks Lynx to install a security system. Grateful for his help, she’s wary of her attraction to him… She recognizes the Serenity Prayer on his mirror and can’t get involved with an addict. But when they uncover dangerous secrets they’ll have to trust one another. Their lives, and their hearts, depend on it. 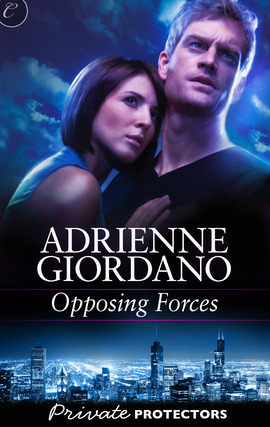 The two Adrienne Giordano novels I have read so far, have been a hit and miss for me. I loved Relentless Pursuit, and struggled with Man Law, but when Carina Press offered this for 2.99 I decided to buy it. And even if not everything in the book worked for me, I am glad I did. Lynx and Jillian were both down to earth persons. I liked that their journey from casual friends to something more showed both their internal struggle and why they struggled. I liked that Lynx was determinded to not fall of the wagon, even if he struggled every day with his addiction. Jillian on the other hand knew the dangers of living with an addicted person. I’ll admit that there were times when I wondered if they would end up together or not. The suspense part was what kept me reading, long into the night. The stakes gradually increased, as they figured out what was going on. As they tried to figure out what happened, the bad guys became more and more desperate to stop them. One thing I liked, was that both Jillian and Lynx played an important part in discovering what was going on. Sometimes when I read Romantic Suspense, it feels like that the heroine’s sole purpose in the book is to be pretty. Not in this book. Jillian was stubborn, and refused to let the bad guys win. And I cheered her on for that decision. The biggest problem I had with this book was that while I liked the characters, I didn’t feel any romantic spark between them. To be fair, this isn’t necessarily the book’s fault but something I often struggle with when it comes to Romantic Suspense.